When Napoleon invaded Egypt he opened it up to a wave of Western exploration that the country had never known. Soon after his defeat there, many European countries sent consuls to Egypt with one major goal: bring back amazing antiquities—and that is exactly what they did. The man who oversaw Egypt on behalf of the Ottoman Empire, Mohammed Ali, was eager to seek Western European help in modernizing his country. He, and most Muslims of the time, also viewed the ancient Egyptian monuments as relics of abominable paganism. So he was happy to trade monuments for modernization, and a flood of artifacts flowed from Egypt into European museums, creating the foundation for some of the greatest museums of the world, such as the British Museum, the Louvre, and the Berlin Museum. [i] In one of the most interesting twists of history, this movement of artifacts would bring the Book of Abraham to Joseph Smith. Many people have questions about the Book of Abraham. It is an interesting, yet complex subject. [ii] In order to help people find answers to these questions, I will write a series of columns, each addressing a separate subject. In these essays I will attempt to be fully forthcoming and transparent, honestly talking about the answers we have, the mistakes we have made, the incorrect assumptions people have long believed, and the answers we don’t have. A British man named Tom Philips has filed a fraud action in England against President Thomas Monson and is claiming that it will bring on the “Mormon Apocalypse.” However, rather than inciting fear and panic among the faithful, if they know about the case at all, the most common response is one of bewilderment among Mormons and non-Mormons alike. That is due partly to the fact that it seems quite odd that someone would pursue a case for fraud that is based on faith claims and personal opinions. But, at least for Americans, the odd nature by which the claim has arisen procedurally is equally puzzling. First, let’s consider how this matter was initiated. Under English law, a member of the public may, with some exceptions, act as a private prosecutor of a criminal matter. In order to do so, a person must first do what is called “laying an information” at a magistrate’s court. This is simply a written statement that clearly describes the offense with a citation to the pertinent criminal statute. Once this is done, a magistrate or clerk may issue a summons. Before doing so, the magistrate or clerk tries to verify that the statement actually alleges some criminal wrongdoing, it has not been filed too late, it has been filed in the correct location, and the person filing the statement is the proper person to be making the claim. The magistrate or clerk is not required to make any inquiries into the facts before issuing a summons. However, the court must at least be satisfied that at least some evidence exists to support the claim, which is the purpose in this case of the statements of Bloor and Ralph. Therefore, any assumption that the magistrate in this particular case must have already weighed the facts and found the evidence supporting the claim to be well-founded is incorrect. Furthermore, since a summons requires the defendant to come to court either in person or to appear through an attorney, President Monson will not be required to appear in person. The reason why English Law allows a private party to proceed with a criminal prosecution in this manner is that until 1986 there was no professional prosecution service in England and the majority of prosecutions were commenced by police officers “laying information” and applying for either a warrant or summons. Since the 1984 Police and Criminal Evidence Act however, English Police have been given extensive powers to arrest, charge and require bail of individuals suspected of criminal offences thus reducing their need to apply for warrants of arrest. In 1986, a national Crown Prosecution Service (“CPS”) headed by the Director of Public Prosecutions, has been given the responsibility for almost all criminal prosecutions in England. In Scotland, the legal position is different from that which exists in England. There has always been a professional prosecution service in Scotland and private prosecutions are not allowed. The same is now true of most countries in the former British Empire. Today, private prosecutions, such as that initiated by Philips are very rare in England and are increasingly regarded by many lawyers and judges as an unnecessary and undesirable historical anomaly. The Book of Abraham is a literal translation of Egyptian papyri by Joseph Smith. The Book of Mormon was translated from ancient gold plates by Joseph Smith, is the most correct book on earth and is an ancient historical record. Native Americans are descended from an Israelite family which left Jerusalem in 600 B.C. Joseph and Hyrum Smith were killed as martyrs in 1844 because they would not deny their testimony of the Book of Mormon. The Illinois newspaper called the Nauvoo Expositor had to be destroyed because it printed lies about Joseph Smith. There was no death on this planet prior to 6,000 years ago. All humans alive today are descended from just two people who lived approximately 6,000 years ago. Contrary to section 1 of the Fraud Act 2006. You are therefore summoned to appear before Westminster Magistrates’ Court 181 Marylebone Road, London, NW15BR on 14/03 2014 at 10AM in Courtroom 6 to answer the said information. Failure to attend may result in a warrant being issued for your arrest. Of course, the significance of February 3, 2008, is that this is when Thomas S. Monson became President of the Church. It should also be noted that despite the reference to the possibility of an arrest warrant being issued if President Monson does not attend court, there is no legal requirement for him to physically attend. Under § 122 of the Magistrates Courts Act 1980, found here, a defendant who is represented by a lawyer is deemed to be present at Court and § 23 of the same Act allows all preliminary matters prior to trial itself to be dealt with by lawyers representing a defendant if “the Court is satisfied that there is good reason for proceeding in the absence of the accused.” Good reason would of course include the distance between London and Salt Lake City. The purpose of the hearing on March 14 is merely administrative in nature, and nothing substantial is likely to occur. For example, President Monson (or his attorney on his behalf) will be asked to enter a plea of guilty or not guilty, and it will be determined whether the case should be heard in the higher level “Crown Court.” Since these allegations involve criminal fraud, and a high-profile defendant, the case would presumably be transferred to Crown Court. That is where all preliminary legal arguments will take place, and, if the case is not dismissed beforehand on a pre-trial motion, a trial by jury would occur there. However, this is an unusual situation. So it is possible that at the first hearing the court will agree to consider a motion to dismiss. It is also possible that the CPS will take over the case and discontinue it, which is something the CPS is entitled to do with any private prosecution. Of course, the case is not likely to be taken over unless CPS has already decided to discontinue it. Also, it is possible for the defense to ask for more time before entering a plea and thus the case may simply be adjourned, perhaps with a direction to Phillips that he should serve his evidence on the defense. There are a broad variety of possibilities at this preliminary stage. But basically, either the case will be concluded by a dismissal, or it will more likely be adjourned to proceed on another date, likely at the Crown Court. Although some seem to imagine that a media circus will ensue in which President Monson is hauled into court in front of flashing cameras and shouting reporters, even an entire trial can proceed without a defendant being physically present if he is instead present through video link. Providing evidence through video link is increasingly common in English Courts. However, lawyers for the Church will almost certainly seek to have the charges dismissed as a nullity at an early stage. First, English law does not allow courts to adjudicate on issues of religious belief, (see e.g., Khaira v Shergill,  EWCA Civ 983). The Church could also argue for a dismissal on the basis that the case is vexatious, malicious and an abuse of process. And if the case were to proceed to trial, there are other issues that undermine the viability of this case that are noted in more detail below. It should also be noted that if Phillips does not prevail against the Church, he may[i] be required to pay the legal fees incurred by the Church in defending against this claim. 3. Intending that by making the statement, he will make a gain for himself or another, or cause a loss to another or expose another to a risk of loss. Section 12 of the Act further provides that where an offence against the Act was committed by a “body corporate,” but was carried out with the “consent or connivance” of any director, manager, secretary or officer of the body corporate, then that person, as well as the body itself, is liable. The penalty under the statute is imprisonment of not more than 12 months and/or a fine of an undetermined amount, but which could be ordered up to the amount of tithing paid by Bloor and Ralph in reliance on the alleged statements. Did President Monson or the Church as a “body corporate” make the representations that are listed in the warrant? Are the representations untrue or misleading? Did President Monson know they are false or misleading? Did he do any or all of these things with the intent of making gain for himself or the Church or with the intent to cause Bloor or Ralph to incur a loss? Did Bloor and Ralph pay their tithing because of these statements? What this all boils down to is this: Assuming the case is not dismissed at a preliminary stage, the question will be, can Phillips as prosecutor of this action prove beyond a reasonable doubt that President Monson knows the Church is false and has nevertheless used his position as President of the Church to publish false statements that are intended to cause Bloor and Ralph to pay tithing, and did Bloor and Ralph pay tithing because of those statements? It is unclear whether Phillips is claiming that President Monson made fraudulent statements to Bloor and Ralph in person, or if these are statements that President Monson allegedly made, or caused to be made on the internet among the publications of the Church. [ii] It is possible that the court might hold that Phillips must prove that these statements were made directly to Bloor and Ralph, and that it is not enough that any statements were published to the world in general on the Church’s website. However, the law on this point may be unsettled. Assuming that publications on the internet are sufficient, we can then examine the various questions in light of statements published by President Monson or the Church within the past few years that appear on the Church’s website. The first question is, did President Monson make, or cause to be made, any of these statements since becoming president of the Church? Clearly, many of these statements appear on the Church’s website. However, it is somewhat unclear with others. For example, I am not aware of any unambiguous statement from the Church or from President Monson since he became President that there was no death on the planet before 6,000 years ago. Furthermore, it is somewhat unclear whether Phillips will need to prove that the alleged statements originated after President Monson assumed leadership of the Church, or whether statements that were made previously, and only perpetually republished on the internet or in written publications can form a viable cause of action. Did he or the Church make these statements “dishonestly?” The English Court of Appeal in Regina v Ghosh  QB 1053 established a two-part legal test that applies to all charges involving “dishonesty.” The first question is “whether according to the ordinary standards of reasonable and honest people what was done was dishonest. If it was not dishonest by those standards, that is the end of the matter and the prosecution fails.” If (but only if) the defendant’s conduct was dishonest by those standards, the jury must consider the second question, which is “whether the defendant himself must have realised that what he was doing was [by the standards of reasonable and honest people] dishonest.” From all of the public information available about President Monson, it is hard to imagine what evidence Phillips could present that would convince a jury both that reasonable and honest people would think that he had been dishonest and that he realized that what he has taught as President of the Church would be considered to be dishonest. Are all of these statements demonstrably false or misleading? No. Rather, nearly all of them are matters of faith and not demonstrably false. Many of the statements are simply matters of opinion. (E.g., the Book of Mormon is the most correct on Earth.) Those which are statements of faith or opinion cannot be disproven. It should be also be noted that, contrary to what some critics of the Church have claimed, President Monson will not be required to prove that each of the alleged statements is true. Rather, Phillips will be required to prove, beyond reasonable doubt, that these statements are false, that President Monson knew they were false, and that he made them with the intent to defraud Bloor and Ralph and that they paid tithing in reliance on these statements. Did President Monson know these statements are false? There is no evidence that President Monson thinks that what he and the Church have been teaching is false. While some critics have claimed that he does not really believe the Church is true, and has not testified of the foundational doctrines of the Church for many years, he has, in fact, done so as evidenced here. Did he do any or all of these things with the intent of making gain for himself or the Church or with the intent to cause Bloor or Ralph to incur a loss? I am aware of no evidence to support this element of the claim and it seems impossible to prove that President Monson had any such intent. In summary, this case may be dismissed within the next few months on the simple basis that English law does not allow courts to adjudicate on issues of religious belief. If it proceeds beyond that stage, even if it can be proven that President Monson and the Church made all of the alleged statements, those that have been made are not demonstrably false but are matters of faith, or opinion, and there is every indication that President Monson believes the Church is true, so cannot be held to have knowingly misled anyone regarding the truth claims of the Church. [i] In the original version of this post, I said the Phillips “will” be required to pay fees if he does not prevail. However, I have since learned that this particular issue may be more complicated than originally thought due to the fact that this is a private prosecution of a criminal matter. [ii] With respect to the substance of the statements, FairMormon has written a large number of articles that address the various topics that are raised in these allegations. Regarding the translation of the Book of Abraham, see here and here. Regarding whether Abraham himself wrote on the papyrus owned by Joseph Smith, see here. 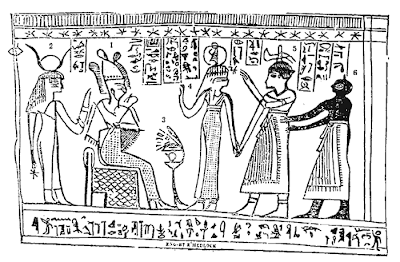 For evidences that the text of the Book of Abraham is of ancient origin, see here. For a general list of articles regarding the Book of Abraham, see here. For a general list of articles regarding the Book of Mormon, including articles related to the translation process, the historicity of the Book of Mormon, DNA evidence regarding Native Americans, as well as the comment that the Book of Mormon “is the most correct book on earth,” see here. On whether or not Joseph and Hyrum Smith may properly be considered martyrs, see here and here. On the destruction of the Nauvoo Expositor, see here. On the question of whether there was death on the planet prior to the Fall of Adam, see here. For a list of articles discussing evolution and related issues, see here. 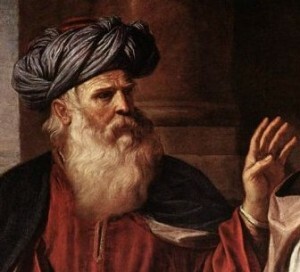 Detail from “Abraham Casting Out Hagar and Ishmael” (1657) by Giovanni Francesco Barbieri. Kerry Muhlestein, associate professor of ancient scripture at Brigham Young University. Mormon fascination with the ancient world stems largely from an exotic corpus of writings found in the canon of The Church of Jesus Christ of Latter-day Saints. 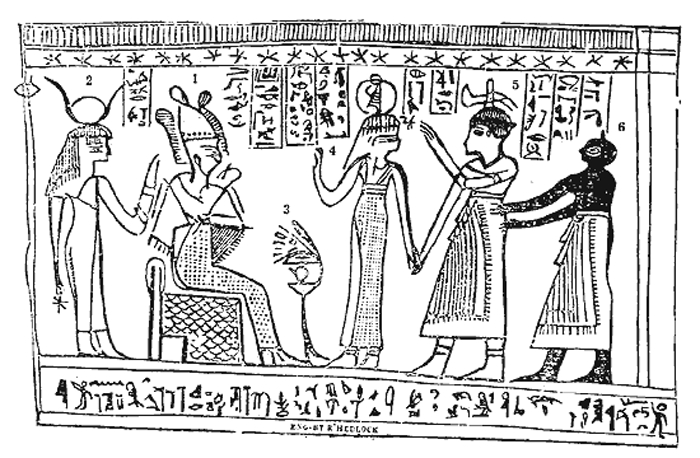 One book in the Church’s canon, the Book of Abraham, which Joseph Smith claimed to be an inspired translation of some ancient Egyptian papyri, has captured Mormon imagination with a vibrant narrative involving the eponymous biblical patriarch, human sacrifice, far-off lands, divine encounters and a grand cosmology. Middle Bronze Age autobiographies from Syria are, in the words of A. L. Oppenheim, “without parallel in texts of this type from Mesopotamia and Egypt.” They are very distinct in form and features. They also differ considerably from the same kinds of texts from the same area from a later date. As it turns out, however, those distinct features appear in the Book of Abraham which depicts Abraham as coming from Middle Bronze Age Syria. John Gee, “Abraham and Idrimi,” Journal of the Book of Mormon and Other Restoration Scripture 22/1 (2013): 34-39. So here is the problem. The Book of Abraham was published by Joseph Smith in 1842. The first Middle Bronze Age Syrian autobiography was published in 1949. If Joseph Smith had made up the Book of Abraham, he would have had to compose an autobiography set in a certain time and place and use the correct literary features and publish it a hundred years before anyone else would publish one from an archaeological dig. The process by which he may or may not have done it is simply irrelevant. None of the proposed processes can account for the literary parallels. *This was cross-posted from Forn Spoll Fira.